Master Pest Control Melbourne render high-grade services to you. If you are fed up by Pests and rodents then lease us now to keep your valuable time and money. Pests are really disturbing creatures which nobody ever wants to see and they cause health problems too. So it is advisable for you to go for professional help. We at Master Pest Control will provide you Cockroaches Control, Fleas Control, Rats Control, Mice Control and Spiders Control and more. Master Pest Control provides guaranteed pest control services. Call us right away 0414 530 372 quickly for same day pest control service. Reliable and steady Pest Control Service at a really affordable price. You can reach us online too. Protech Pest Control is a premier pest control service provider in Melbourne, offering effective removal solutions for residential buildings, office spaces and commercial properties. We have over 26 years of experience and extensive knowledge of different kinds of pests and insects, which help us to develop systematic procedures to completely eradicate pests and even prevent them from coming back again. Our pest control services are targeted towards preventing possums, termites, spiders, wasps, ants, bees, rodents and cockroaches. Why Choose Us? • Modern inspection tools & techniques to diagnose pests and insects, even in remote locations • Fully insured • Thorough inspection and pest removal • Environment-friendly pest control techniques Need help with pest control? Call us on 1300 486 149 today. Get to us at Marks Carpet Cleaning provides the best pest control services to our customers. If you are fed up by Pests and insects then hire us immediately to keep your valuable time and money. We will provide services including Cockroaches Control , Ants Control and more. We realize it is an actual problem to deal with irksome and annoying pests. They create so much of mess at your house and if overlooked they might affect the health of your household members too. And it is not a lenient job to deal with them personally so it is essential for you to choose a professional pest control service immediately. Our professionals use safe and eco-friendly solutions for the process. So get in touch with us online and submit form to get quick response - <a rel="nofollow" target="_blank" href="https://www.markscarpetcleaning.com.au/contact-us">https://www.markscarpetcleaning.com.au/contact-us</a>. Our team offers a broad range of pest control services over all the colonies of Melbourne. Whether it is cockroach control, spider control, mosquitoes control, flea control or seasonable pest control, our experts' technicians are professionally trained to do it all. also, we can provide you with free quotes for our pest control services in Melbourne. Call us on 1800033756 and get the free estimation today. Looking for Ant Control Melbourne? Hire no.1 company in Melbourne - Masters Pest Control!! We have been serving our customers for more than twenty years. 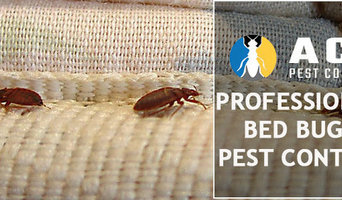 We provide Bed Bug Control Melbourne, Bee Control Melbourne, Cockroach control Melbourne, Emergency Pest control Melbourne, Extermination Services Melbourne, Flea Control Melbourne, Fly Pest control Melbourne, Mosquito Pest control Melbourne, Moth Pest control Melbourne, Rat Control Melbourne, Residential Pest Control Melbourne, Silverfish Control Melbourne, Spiders Control Melbourne, Tick Control Melbourne, and Wasp Pest Control Melbourne. If you also want to get rid of unwanted pests then, hire us for guaranteed pest control services. 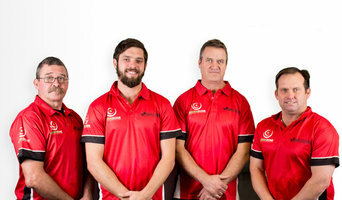 Our friendly staff is always ready to give pest control services in both commercial or residential areas of Melbourne. Call on +61 414 530 372 for Same Day Pest Fumigation Services. Dealing with annoying pests at your place? Hire Be Pest Free and get the best solutions for removing pests from your house. Normally, you might have used home solutions to get relieved from pests but disappointed. We have many years of expertise in this field. 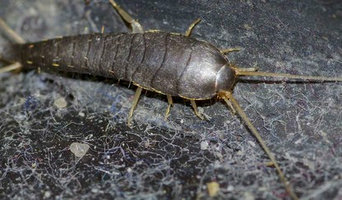 We provide the best services such as Cockroaches Control, Ants Control, Silverfish Control, Moths Control, Bed Bugs Control, Bees Control and more. At the commencement, We look in the hidden areas to find pests because it is the only place they prefer to hide and after the inspection, we apply the eco-friendly tools which help to eliminate the pests from your house. Call us at 1800339712 now! Flick Pest Control Melbourne is Australia's go to pest service company with vast network and distribution capabilities who have the best trained and friendly pest control experts who know your local area and vicinity to tailor to your unique needs in a timely fashion. With Melbourne being a high tourist area for shopping enriched with a largely diverse population and culture, pests are more transferable with the increased travel rates in the area. This promotes pest infestations where businesses are regularly having infestations problems within the city. We are able to service many residential and business needs to get your building and property clear from pests. We are able to eradicate Cockroaches, Ants, Fleas, Spiders, Bed Bugs, Moths, Birds, rats and mice,wasps and bees, and most importantly termites. One of the biggest problems that most homeowners may encounter is pest infestation and this can happen without warning and take then completely by surprise. 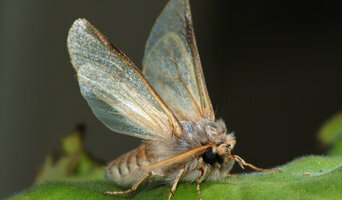 So if you are having pest problems within your property and you want to get rid of them as soon as possible, then choosing the expert and reliable Pest Control service provider in Melbourne and who will be better than AM To PM Pest Control as our company has mastered the art of offering pest control throughout Melbourne. Owing to more than 10 years of expertise in the Termite Inspection and Termite Treatment industry in Australia and overseas, AM To PM Pest Control imparts a wealth of knowledge to all clients. Located in Bundoora in Melbourne's north, we provide our services within a 60km radius, reaching eastern and southern suburbs including Doncaster, Eltham, Greensborough, Donvale and Northern Melbourne. We offer services like Rodent Control, Pre Construction Termite Treatment and Rat Control. We are amongst the leading enterprises who have Licensed Pest Control Expertise in Melbourne. We pride ourselves for our efficient Pest Control Melbourne services that are performed by our skilled and experienced team. 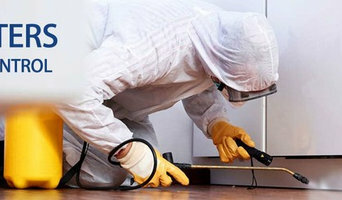 Every single person in our team is qualified enough to assess and exterminate any kind of pest issues in your property. Thus, if you want to be beneficial from our services or need more information or quote, then you can feel free to give us a call on 0432 690 075 or visit our official website! Masters Pest Control is an owned and operated pest control company with the mission of providing a superior pest management services to our commercial consumers in the Melbourne area. While working at one of the largest pest management companies in the country, our founders realized that many pest control operators take their clients for granted after the first few months of service. They see a chance in the market that if they could offer an honest and every time reliable pest control service, there was a business that could be built and maintain year over year. Masters Pest Control was started with the vision of leveraging our founders existing relationships in the pest control business, hiring only the best people, responding to customers’ requirements in a professional and timely way and a keen understanding that this is a results-driven business. Any type of pest infestation can be enormously damaging for your retail business, this is why we offer various pest control services ranging from professional bird control to specialist rat removal. Our fully skilled experts are on hand all across Melbourne, ready to help your retail business with unwanted pests.